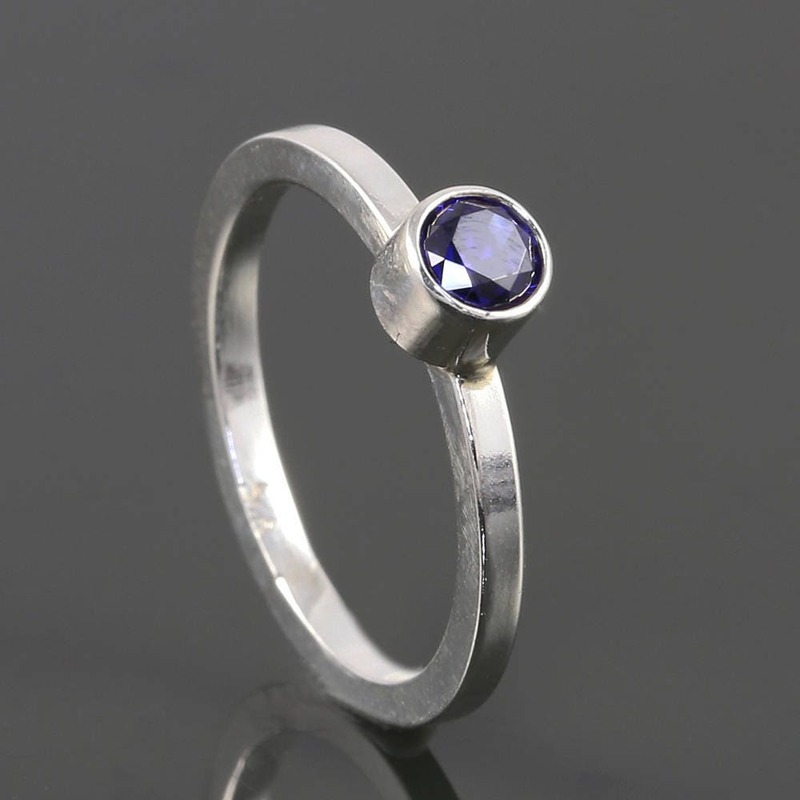 This stacking ring is made with all sterling silver and a blue sapphire gemstone. You may choose either a natural, grade A, blue sapphire, or a lab-created sapphire. The lab-created sapphire has the same chemistry and crystalline structure as natural sapphire (corundum), without the subtle flaws found in a natural stone. The gemstone measures approximately 4mm across, and I've tube-set it in sterling silver. The lab-created sapphire is a sparkling cobalt-navy blue (shown in the first photo). The natural sapphire stone is darker in color than the lab-created one, and it has a very slight greenish tinge. The ring band measures 1.6mm thick and 1.6mm wide. This ring will be made to your size specification. Please select your ring size when you check out. It will take me 1-2 weeks to complete once I receive your order. Please note that because this ring is custom-made, it is not eligible for exchange or refund. See my Policies section or contact me for sizing information. Thicker Stacking Ring. Round Cross Section. Sterling Silver Band. Made to Order. Stackable Ring. Minimalist Design.